Copyright (c) 2007-2012, Winterbrose. All rights reserved. 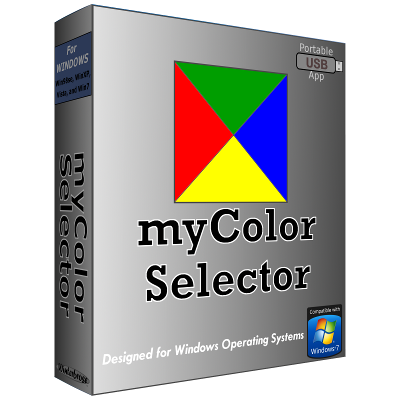 myColor Selector is a handy utility to have when looking at colors for a scene or any other application where you want just the right color to work with. 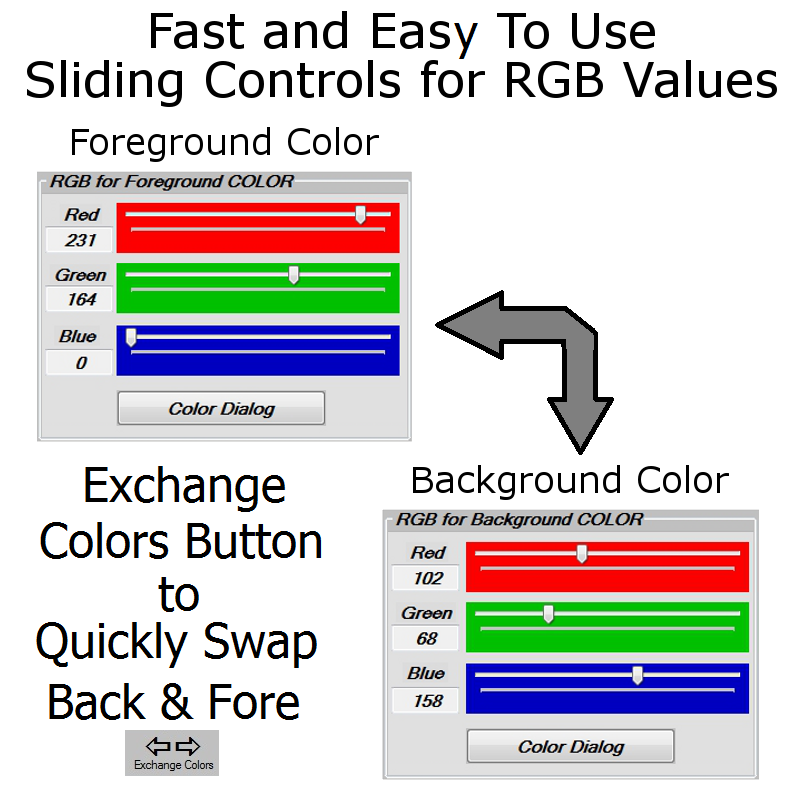 What this program does is give you the actual R-G-B values from the colors you want. 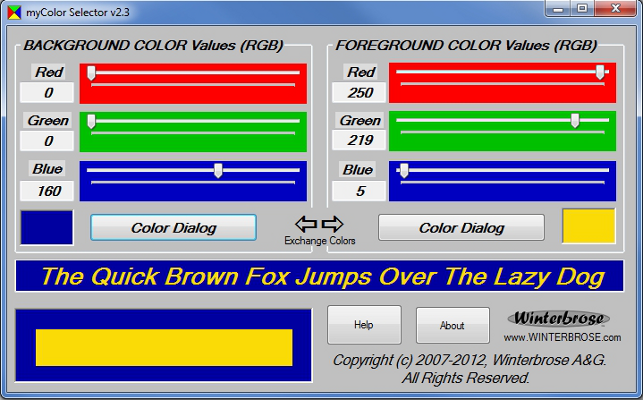 It’s useful when you want a shade of blue, for example, that suits your needs but find it hard to use the color windows in other programs to find "just the right color" you want. With this program you can set either your foreground or background to a basic color, then use the slide controls to achieve the color you want. !!! FREE for Personal and Commercial Use !!! Please review License/ReadMe files carefully, but you can basically share this app with anyone. 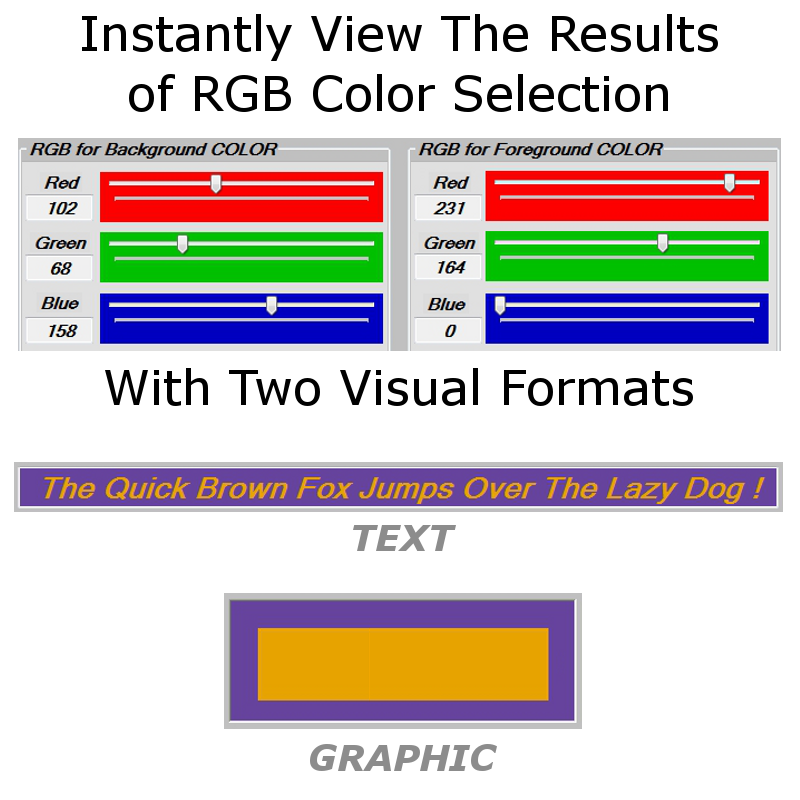 1) Users MAY share, copy or distribute unmodified copies of the myColor Selector ZIP file. 2) Users MAY NOT reverse engineer, modify or create derivative products from this application. 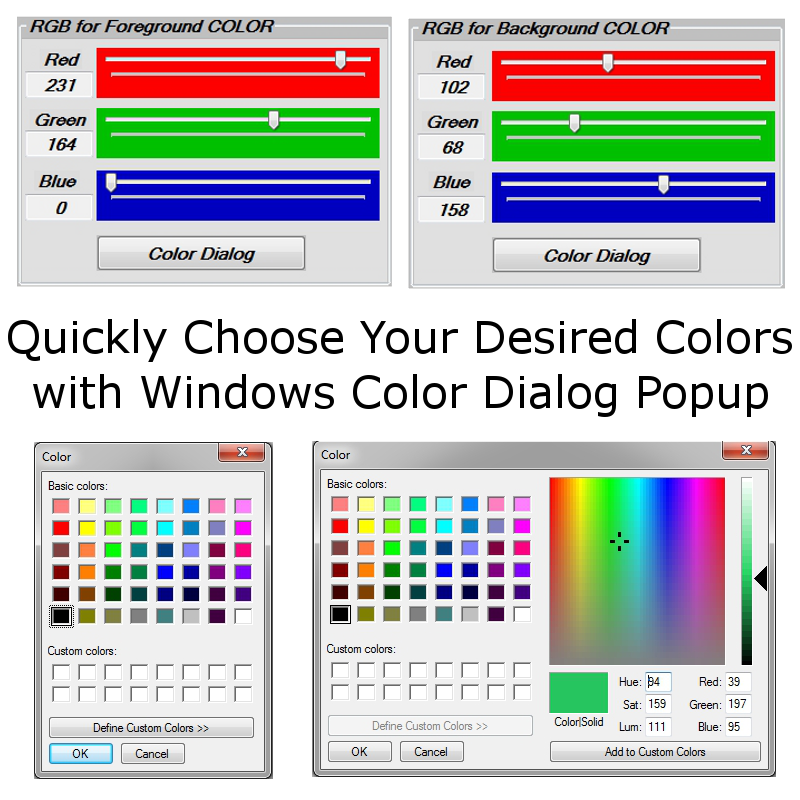 Please read this section carefully before downloading and using the myColor Selector software. The mCS program is provided as-is with no warranties, expressed or implied, of any kind.